I’m a refugee, turned culture crime watcher on a quest to preserve historical and sacred artifacts looted by war. I dedicate this book to every refugee in the world, to Cyprus, and to future generations who continue to fight for the world’s cultural heritage. Order a copy of the book, and help us raise funds for Walk of Truth. 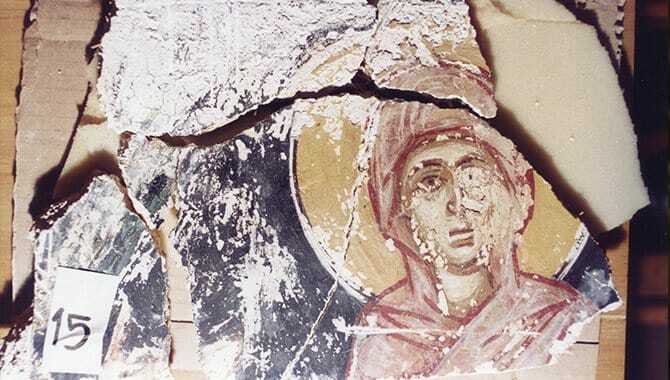 This looted fresco tells the story of every refugee. Learn more about how you can support Walk of Truth.